I am often asked by patients ‘How did you end up doing this for a living?’. Although after 13 years in practice it seems the most normal thing in the world to me to be sticking needles in people to make them better, a short description of my background usually helps to reassure people that I am reasonable proficient at what I am doing. I consider myself lucky to have had the chance to study English and Italian literature at Trinity College, Cambridge. Although at the time I was captivated by the literary worlds of Shakespeare and Dante, I was also somewhat distracted by a fascination for martial arts (kung fu, taijichuan, Thai boxing), meditation and the Chinese healing arts. Whilst at Cambridge I travelled to India with the idealistic notion that I might meet my spiritual teacher, and in true undergraduate student fashion I adventured and explored. After finishing my degree I did not really know what I wanted to do in life, although I knew that I wanted to do something to help people – be part of the solution rather than the problem. I got a job as a support worker in a ‘Care in the Community’ home in Nottingham. This involved spending long hours with a diverse group of people with varying degrees of mental health problems. It was here that I observed some of the problems with the conventional approach to mental health. Although the psychiatric drugs enabled most of our residents to function relatively safely in the community, the therapeutic interventions on offer seemed to make precious little difference to their health and well-being. They ate junk, smoked constantly, did not take exercise and suffered numerous unpleasant side effects of the drugs. Particularly for the younger ones, entering this health system seemed like a life sentence. I would often accompany residents on visits to their psychiatrists, who would invariably barely look them in the eye whilst firing a few questions their way – before signing off yet another prescription. To be fair, I probably witnessed the inferior end of psychiatric practice, but I was disturbed by both the lack of genuine human contact as well as the limited clinical results with this approach. It was at this time that I attended night classes in Chinese medicine theory. The class was run by a local acupuncturist, and was themed around the five phases (wuxing), one of the theoretical pillars of Chinese philosophy. The theory I learned all seemed so obvious, so common-sense – I felt as if I was uncovering knowledge that I already knew. However, because I was also spending large amounts of time with such disturbed individuals at work, and dealing with the inevitable volatility of life during my early twenties, I became fairly out of balance myself. I decided to try some acupuncture to see if it lived up to its reputation – and I began to feel hugely better. This sealed it – I realised I had found something that fascinated me and that helped people. I liked the idea that I could apply myself to this art for the rest of my life, getting better and better at it, until by the end of my career I would be like a well-polished jewel. There was only one thing for it: I had to learn acupuncture and Chinese medicine. Over the next eight years or so I went on to train in acupuncture, tuina (Chinese remedial massage) and Chinese herbal medicine (with a combined duration of academic study of six and a half years). Over the years I have also taken subsidiary training as a life coach (which I bring into my work to help people get to where they want to get), and have received extensive post-graduate training, particularly in gynaecology and infertility. I have travelled to China three times to study and experience the place where the medicine is rooted. My main teachers (whom I thank for kindly sharing their knowledge) include Andrew Nugent-Head (acupuncture, Chinese medicine), Wang Juyi (acupuncture, Chinese medicine), Wu Yuning (Chinese herbal medicine, gynaecology), John Hicks (acupuncture), Chen Xiaowang (taiji, qigong), Mike Sigman (neijia), Chris Chappel (qigong, taiji, bagua), Adrian Murray (taiji) and Mike Tabrett (taiji, qigong). I am still hooked. My bedside reading is huge tomes of Chinese medicine (my wife thinks I am mad). I practise qigong and meditation daily. I live and breathe Chinese medicine. The principal medicines for myself and my family are acupuncture, Chinese herbal medicine and nutrition. However, I am not faddish – I am aware that there is a modern, ‘new-age’ tendency to be fuzzy in one’s thinking when it comes to ‘alternative’ medicine. I believe in intelligent medicine, and acknowledge that sometimes conventional medicine is the most effective option. I am also principal editor of The Journal of Chinese Medicine, a prolific international journal dealing with Chinese medicine. I love writing, and crafting strong and effective prose. I am also currently involved in co-editing two books – one on the treatment of infertility with Chinese medicine, and the other on acupuncture and autism. I also chair the British Acupuncture Council Editorial Committee. In 2004 I founded the charity World Medicine (www.worldmedicine.co.uk) in response to the asian Tsunami, facilitating acupuncturists and other CAM practitioners travelling to places around the world where their skills are needed. I have lectured at various colleges of Chinese medicine, although with my recent move to Somerset, I have temporarily given up my teaching to develop a practice in Frome. My qualifications include: Master of Science in Chinese herbal medicine, Master of Arts (Cantab.) in English and Italian Literature, Licenciate in Acupuncture, Diploma in Tuina, Diploma in Life Coaching. 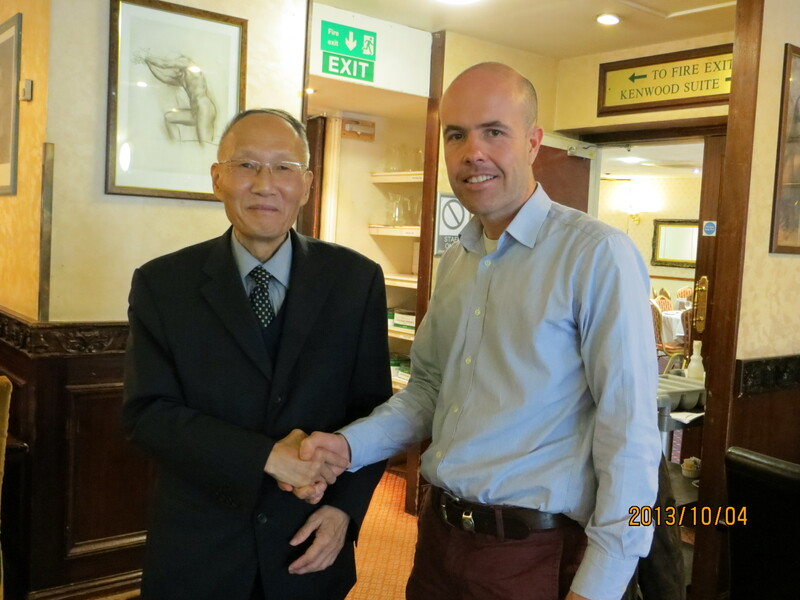 I am also a member of both the British Acupuncture Council and the Regiter of Chinese Herbal Medicine.